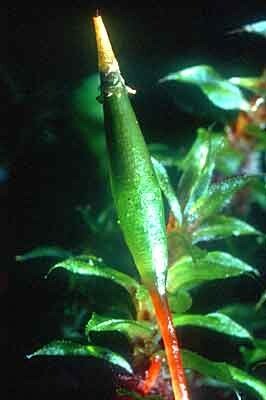 The protonamal (juvenile) phase of one moss, Ephemeropsis, persists to become the reproductive adult form. 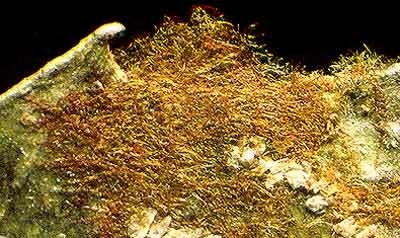 Lacking stems and leaves, this moss is easily mistaken for a filamentous alga (especially the alga Trentepohlia). One species is found in New Zealand and Tasmania (Ephemeropsis trentepohlioides) and the only other species is found in the tropics (E. tjibodensis). 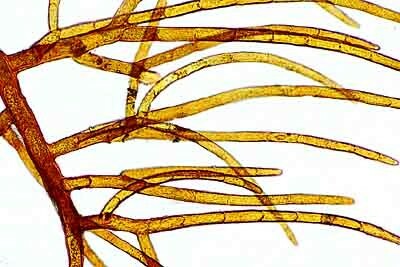 Ephemeropsis trentepohlioides - A fine mat composed of branching filaments growing on the surface of a leaf. 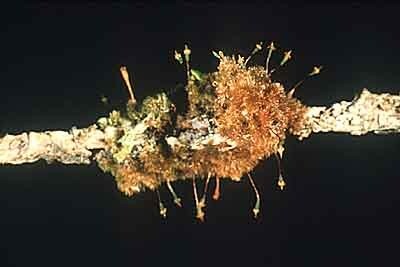 Ephemeropsis trentepohlioide - A portion of the mature growth form. 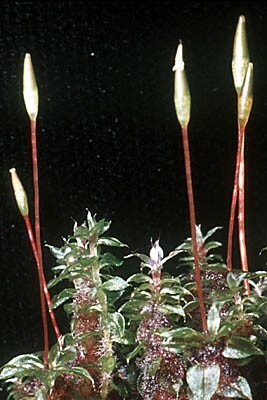 Tayloria callophylla - plants with attached sporophytes. Found mainly on the North Island. Tayloria callophylla - immature capsule with covering (calyptera) at the very tip.